There are many reasons for lower back pain. While it’s important to seek help from your healthcare provider, a better mattress might make a difference in the way you feel. There is no one-size-fits-all solution. The best mattress for your lower back pain might be one that fails to help someone else and the opposite is true, too. Luckily, there are some common factors to consider such as your shape, size, and sleeping posture. Knowing how your body interacts with the surface you sleep on may help you make a better decision as you determine which is the best mattress for lower back pain. Your sleeping posture – Your sleep position might be contributing to your lower back pain, so you might want to consider making an attempt to change it while also upgrading to a better mattress. Since improper alignment is often part of the problem, a medium-firm mattress can help by preventing pressure points and supporting your entire body. If you are curvy or large-statured, you may also need to use extra pillows to fill any gaps. Your body’s shape – If you are very thin or muscular, you might prefer a firm mattress over a medium or medium-firm one. Average people with lower back issues often find that medium-firm support works well, while larger people need a bit more padding and prefer medium support. Next time you’re lying in bed, spend a moment focusing on your posture. Are your body parts aligned? Are there any spots that feel unsupported or strained? Think about your current mattress and how it interacts with your body. Would a softer or firmer mattress help? Your doctor’s advice – If you suffer from chronic back pain and you know that your mattress isn’t the cause, switching mattresses might not be enough to make you feel better. Be sure to get your doctor’s take. He or she might recommend a specialty mattress, an adjustable bed, or therapeutic pillows. 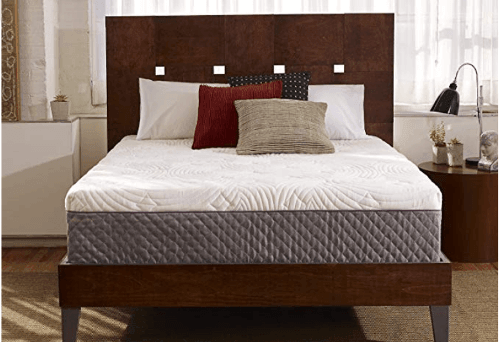 Mattress material – Mattresses made with memory foam and similar materials often provide relief, provided that they are firm enough to provide the desired level of support. Where innerspring mattresses are often too firm or begin to sag after a while, some of the best-rated memory foam and hybrid mattresses offer an excellent combination of comfort and support. Choosing the best mattress for lower back pain can pose a challenge since there are so many factors that lead to discomfort, as well as different body types to consider. Luckily, consumers have provided a countless number of mattress reviews, making it far easier for others to make well-informed purchasing decisions. Additionally, many companies offer test or trial periods, allowing consumers to return mattresses that don’t feel right. With these factors and many others in mind, we’ve compiled a list of ten of the best mattresses for lower back pain. Each entry includes pros and cons, along with direct quotes from reviewers who found that the mattress provided relief. The Classic Brands Gramercy mattress offers hybrid technology for a comfortable sleep surface that conforms to your body’s unique shape. Beneath an upper layer of cooling, gel-infused memory foam, a series of wrapped steel coils compress independently from one another, responding to movement, preventing pressure points, and offering support where it is needed most while simultaneously preventing motion transfer from disturbing sleeping partners. This mattress is 14 inches thick, and it is CertiPUR-US certified. People with back issues of different types report that the Classic Brands Gramercy hybrid mattress makes a positive difference, and sleepers of different sizes and shapes appreciate the level of support that it provides. If you are looking for a mattress that suits your needs and provides relief for lower back pain while simultaneously accommodating your budget, then this one is well worth considering. 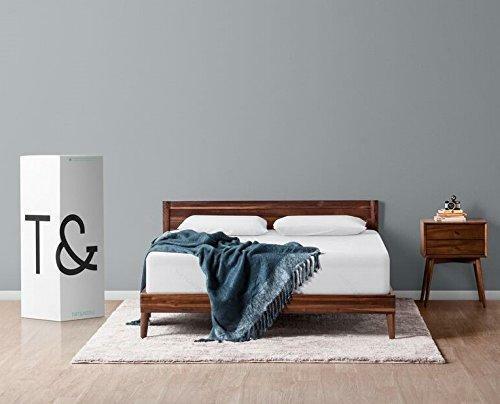 The Live and Sleep Resort Classic cooling memory foam mattress offers medium to medium-firm support, yet it conforms to the body for exceptional comfort. Its high-density core reduces the urge to toss and turn while relieving pressure points and alleviating back pain for side, back, and stomach sleepers alike. This mattress is designed to resist microbes and allergens, and is also resistant to dust mites. The cover is removable and washable, and the upper contour cushion optimizes air flow for reduced heat buildup. The Live and Sleep Resort Sleep Classic cooling memory foam mattress is CertiPUR and OEKO TEX ® certified. If you are someone who doesn’t sleep “hot” and you are looking for a medium-firm mattress, then it’s quite likely that you will appreciate the Live and Sleep Resort Classic mattress. The 30-day test period provides some protection in case you are among the minority of purchasers who dislikes this mattress, and the 20-year warranty covers manufacturer’s defects once the initial test period is over. 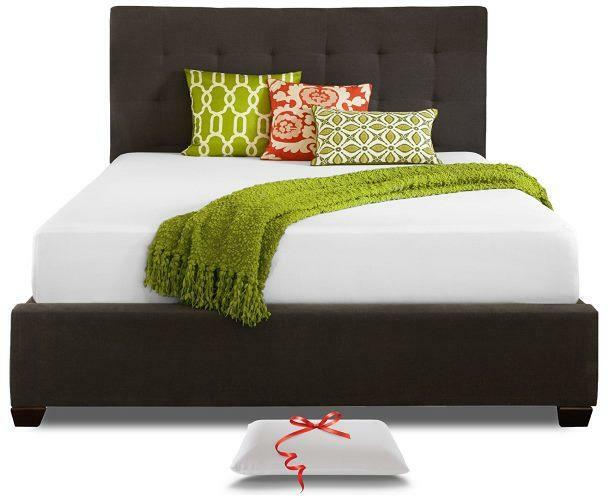 Additionally, this mattress is very easy on the budget, often selling for less than $300. The Lucid 10-inch gel memory foam mattress features open cell technology for even compression and comfortable conformation. Designed to prevent uncomfortable pressure points while supporting the body’s curves, this mattress offers medium support via a 2.5-inch layer of gel memory foam and a 7.5-inch layer of high-density support foam. The upper layer is vented for increased air flow and breathability. The cover is made with soft TENCEL blend fabric that prevents moisture buildup while increasing airflow. 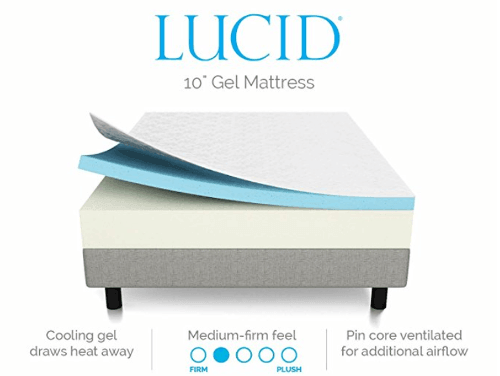 The Lucid memory foam mattress is CertiPUR certified, and is backed by a 10-year warranty. 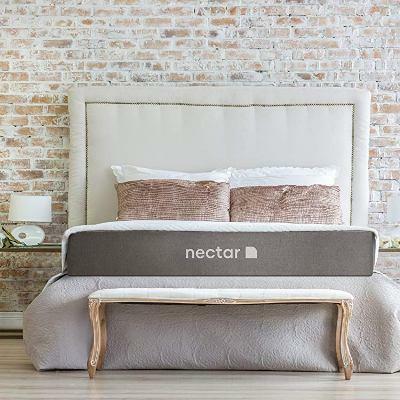 If you’re on a tight budget and don’t want to spend a fortune on a new mattress in hopes of alleviating lower back pain, then you are likely to appreciate this one from Lucid. It’s important to note that people who do not allow enough time for expansion tend to report that they sink to the bottom of the mattress, and that it develops a firmer feel later. So long as you have the ability to sleep elsewhere while the mattress “cures” and expands for about 48 hours, it is likely to provide the desired medium-firm mattress experience. The Pure Echo mattress is made from all-natural materials including GOTS certified organic cotton batting inside, and a breathable cover of eco-wool washed in GOTS certified organic soap. This hybrid mattress features pocketed coil innersprings, which work independently from one another while offering medium-firm support. A lumbar zone provides additional support to the lower back, preventing the discomfort that can happen when a sleeping surface that is too soft. The My Green Mattress Pure Echo organic cotton natural mattress is GREENGUARD CERTIFIED, and is made in the U.S.A. A 100-night trial period inspires confidence in the manufacturer. If you’re searching for a chemical-free, organic mattress that also provides reliable back support, then you are likely to appreciate this one. Most reviewers like the comfort level, which is described as being a pleasant combination of firm support with a comfortable, cozy cushion on top. If the natural wool cover is a bit off-putting, you might consider using an organic mattress protector to keep it contained. This mattress costs quite a bit less than other organic options; while it does cost more than the average memory foam mattress, it falls into the “affordable” category when compared with eco-friendly competitors. 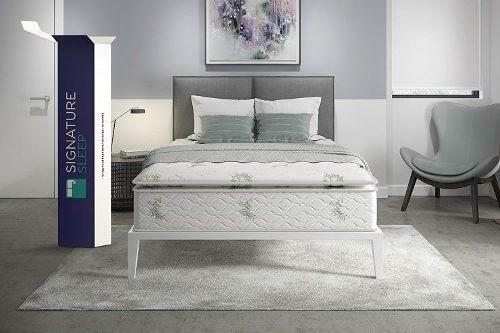 Made with two layers of air-infused gel foam and a layer of Gel-Pro memory foam for comfort, the Perfect Cloud Elegance Memory Foam mattress is designed with an additional supportive layer, which helps to keep the body in alignment and prevent discomfort. The premium knit cover zips on and off for easy cleaning, and a 10-year warranty assures quality performance. A 30-night trial is included. The Perfect Cloud Elegance memory foam mattress is hypoallergenic, dust mite-resistant, and CertiPUR Certified. 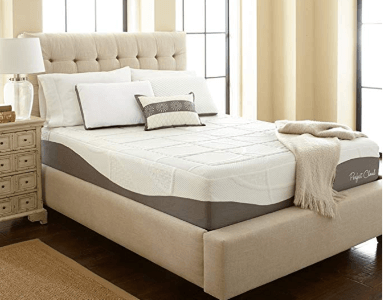 If you’re looking for a firmer-than-average memory foam mattress and you are hoping to spend less than you would at a mattress store, then the Perfect Cloud Elegance Memory Foam Mattress may be exactly what you’re hoping to find. As with all other mattresses we’ve reviewed, this one comes highly recommended – yet some people find it either too firm or too soft for their liking. The 30-night sleep trial allows for in-home testing, ensuring that you can return the mattress if it doesn’t help your back feel better. The Perfect Cloud Supreme mattress features 5.5 inches of HD support foam, which lies beneath a 2.5-inch layer of air flow memory foam with cooling gel. Thanks to a zipper for easy removal, the quilted cover makes is easy to keep clean. This supportive, medium-firm mattress is designed to eliminate painful pressure points while keeping the body aligned. A 30-day trial is included, and a 10-year warranty covers any defects. The Perfect Cloud Supreme memory foam mattress is CertiPUR certified. If you’re looking for a firm mattress under $500, and you have a leaner body type, then you are likely to enjoy the level of comfort this Perfect Cloud offers. Larger or curvier body types tend to prefer a thicker mattress with a bit more padding over the lower support layer. The 30-night trial should provide you with enough time to determine whether this mattress is the right one for you. The Signature Sleep 13” hybrid mattress features a 10-inch lower layer that consists of independently encased coils that relieve pressure points by contouring to your body’s unique shape. Multiple layers of foam separate the coils, assuring comfort and durability. Topped with three inches of foam for even weight distribution and less motion transfer than a standard innerspring mattress, the Signature Sleep 13” mattress features a breathable rayon cover. This mattress is CertiPUR certified. Reviewers of different sizes and shapes tend to find the Signature Sleep 13” mattress comfortable. One noticeable downside is that this mattress might not offer the same level of longevity as a similarly-priced memory foam unit. A few reviewers note that it begins to lose its integrity around the three- to four-year milestone. Given its very low price, this is not at all surprising. But if memory foam mattresses leave you feeling too hot and you’re looking for an excellent bargain on a hybrid mattress, then this one is well worth considering. 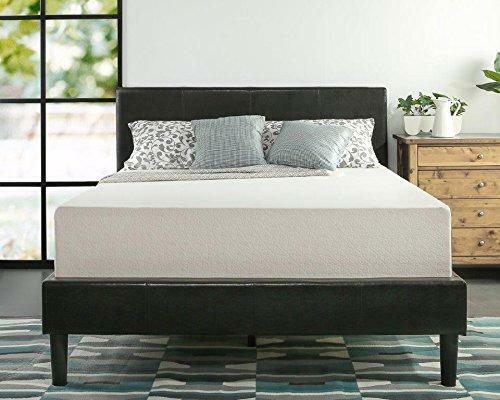 Designed with the comfort of average to larger body types in mind, the Sleep Innovations Shiloh 12-inch Memory Foam Mattress features a 9.5” foam bottom topped with 2.5” layer of SureTemp memory foam. Combined, these layers provide a medium level of support. The zippered cover is easy to clean, and a 20-year warranty inspires confidence in the manufacturer. With thousands of satisfied sleepers weighing in, the Sleep Innovations Shiloh 12-inch Memory Foam Mattress is among the most popular options online. It gets high marks for its combination of soft cradling comfort and medium-firm support, and it is as easy on the budget as it is on the body. It would be nice if this mattress came with a trial period, but the 20-year warranty is comparatively generous. Tuft & Needle mattresses are made with a unique material called Adaptive Foam, which offers a combination of support and “bounce” for a feeling that’s often described as not too soft and not too hard. As with memory foam mattresses, this one localizes motions so that sleeping partners do not disturb one another when moving. The Tuft & Needle queen mattress is made in America. It comes with a 100-night trial period and is backed by a 10-year “no-gimmick” warranty. This mattress carries CertiPUR, OEKO-TEX, and GREENGUARD Gold certifications. As with all mattresses, some sleepers find the Tuft & Needle mattress is either too hard or too soft for their liking. Most, though, find it feels “just right.” If you don’t mind paying a bit more than $500 for your mattress, then it’s quite likely that you will enjoy sleeping on this one. Thanks to the generous 100-night trial period and 10-year warranty, you’re covered. Made with multiple layers for cozy comfort and a medium firm level of support, the Zinus green tea infused mattress features a 3.5-inch high-density support foam base with air flow technology. The second layer is made with 3.5-inch high-density airflow foam, and the third layer consists of 2 inches of comfort foam. The upper layer is made with 3 inches of memory foam, which conforms to the body for a soft, cushioned feel and minimal motion transfer. The Zinus 12-inch green tea infused mattress is backed by a 10-year warranty, and is CertiPUR certified. If you’re on a budget and prefer a softer mattress, then you are quite likely to appreciate this one. While its lower layers offer a good level of support, the upper layers provide a soft, cushion-like feel. A few reviewers note that their mattresses failed to fully expand, however they are in the minority. Most people appreciate the comfort level as well as the price. Besides your body shape, desired support level, and other considerations we’ve addressed, there are some other considerations to keep in mind as you decide which is the best mattress for your lower back pain. Trying Different Mattress Types – According to Harvard Health and other authorities, it’s a good idea to try different mattresses and see how they feel to you. One option is to try mattresses at a retail location, focusing on the way soft, medium, and firm mattresses feel. This might not be the best tactic though, since a momentary trial isn’t the same as an entire night’s sleep. If possible, consider staying with a friend or relative, or trying different hotels. This tactic can help you find the best mattress for lower back pain, so long as the brand and model are known. Test Period or Not – What if you’re leaning toward a mattress that comes without a trial period? Check the return information carefully if this is the case. When you buy from Amazon, there’s normally a built-in return period. Some consumers opt to use this time as a trial period. Be sure to read the fine print so you don’t end up with a mattress you hate. Warranty – While there are quite a few mattresses that come without warranties, most companies do offer some kind of quality guarantee. Read the warranty before making your purchase if you are concerned, and don’t remove tags from mattresses since doing so is one of the things that can invalidate the warranty. Buying Local vs. Shipping – Buying a mattress locally might make sense, particularly if you can find a good one on sale and have it delivered to your home. Shipping works well for many consumers, too; Amazon often offers it for free, and the site even offers links to local handymen who can help you with setup if needed. Weigh the costs! There’s no reason to spend more than you have to. High vs. Low Price – The best mattress for lower back pain isn’t necessarily the most expensive, unless your doctor is recommending a specialty product for a chronic medical condition. Our advice is to always shop within your budget while keeping the big picture in mind. As you’ve seen, some of the best-rated mattresses also happen to get high marks for affordability, with some options coming in at under $500. Better sleep can make a huge difference in many areas of life, from your ability to focus at work to your ability to enjoy satisfying personal relationships. 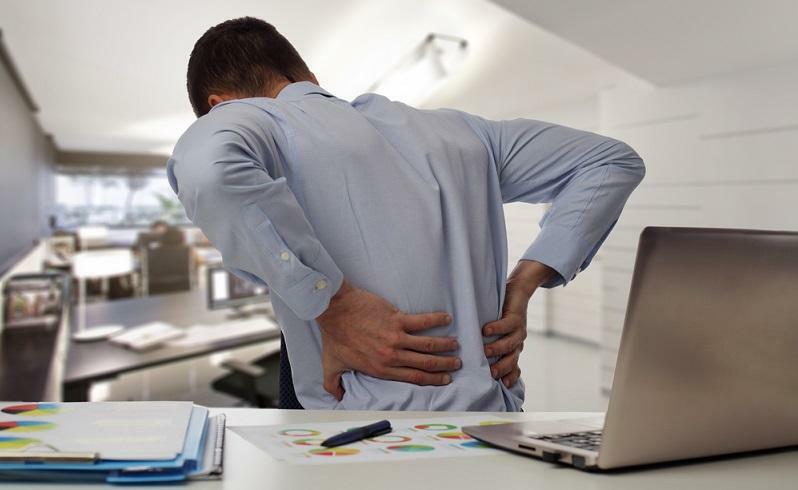 While there’s no such thing as the one and only best mattress for lower back pain, there are many options available and at least one of them is likely to make a difference in the way you feel. By choosing a mattress that has helped others in a similar predicament, you increase your chances of easing your discomfort and finally getting the restful sleep your body and mind crave. We wish you the best as you make this very important decision!